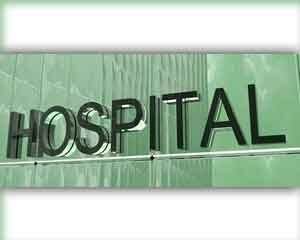 New Delhi: The All India Institute of Medical Sciences (AIIMS) inaugurated its green hospital project, recently, aspiring to register its name in the list of green hospitals. The genesis of the project began after the Memorandum of Understanding (MoU) signed between Ministries of Finance and Health & Family Welfare, AIIMS and New Energy and Industrial Technology Development Organisation (NEDO), Japan. The total cost incurred on the project is Rs 110 crore where the cost will be shared between AIIMS and NADO. The NADO will bare 78 per cent of the cost incurred in the project and the remaining 22 percent will be borne by AIIMS. The MoU was signed between the two ministries in March 2017. The Additional Spokesperson of AIIMS, Dr Karan Madan told the Pioneer, “The project is green as well as cost friendly. This will save us around Rs 116 crore savings on electricity bill per annum. With the intervention of Japan and coming of latest technology, we have started our green pursuit,” he stated. “Up to March 2020, which is the initial demonstration period, the outcomes will be assessed and the successful strategies may be adopted by hospitals across the country,” Dr Madan further added. The project aspires to facilitate the replacement of air conditioning chiller with the capacity of 4500 tones of refrigeration by Variable Frequency Drive (VFD) technology based chillers. The project plans to replace around 32,000 CFL light fittings by LED based fixtures and also install solar generating panels of 670 KW capacities. Along with these replacements, the hospital also plans to make its infrastructure more efficient. “This (will) lead to approximately Rs 16 crore per annum savings in electricity bills. The estimated CO2 emission reduction would be 14,500 tonne/year. The building management system… will make infrastructure services more sustainable,” Indian Express, quotes the AIIMS statement as stating.